The Santa Cruz Art League is a vibrant, multi-disciplinary art center located close to downtown Santa Cruz. With over 30,000 visitors a year, we present 12-15 exhibitions annually in a variety of media and themes. We offer art classes for any skill level 7 days a week. In Art League’s lobby we have a gift shop that features the work of local artists. Visual and performing arts programs take place in our gallery and in the Broadway Play House, our 62-seat black box theater, which also features a thriving youth theatre school led by WEST Performing Arts. In 2019 we will be celebrating 100 years of supporting artists at all career levels. The Santa Cruz Art League was founded in 1919 by a group of local artists yearning for a place to meet in order to share their art, to teach, and to motivate one another. 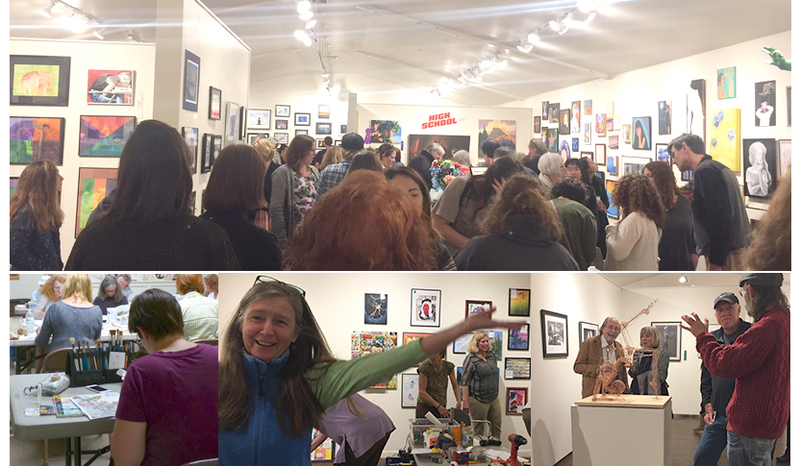 Over the last 97 years the Santa Cruz Art League has been consistently committed and supportive of local artists by encouraging visual and performing arts in an environment that is supportive not only to the artist, but also to students, and to the community.